My entire life I’ve struggled with my weight. My pant size was always fluctuating yearly, sometimes significantly and sometimes not. March of 2013 was my breaking point when I finally decided to make a change. 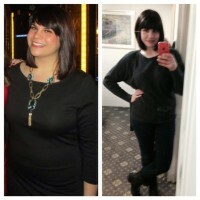 I weighed in at my absolute heaviest – 183 pounds and a pant size of 14. I was a mess. I found Fitness Together Melrose on accident. I had recently moved to the area and often passed by the studio. My husband and I decided to inquire on what services were offered. After an initial meeting and “test drive” we decided to join. It was the best decision I have ever made. Fitness Together taught me how to hold myself accountable and take responsibility. So often I would join a gym and simply say, “I’ll go tomorrow.” That wasn’t part of the plan with FT. I had to be on time, put in the work, and follow through. The trainers were always watching me and pushing me. On top of that they made me accountable; making sure I was coming to my scheduled 1:1 and group sessions or simply to remind me not to give up. I couldn’t let them down and in turn, I couldn’t let myself down. Fitness Together also taught me about family. Teddy and Jesse became just that for me. No matter what day of the week, or the time of day, I could always be guaranteed that one of them would be able to encourage and support me when I needed it. Not only would they give me diet advice and help me with my workouts, but we’d talk about everything and anything outside of FT, too. I never felt like I was being “trained” by someone – I always felt like I was simply working out with my buds. They are, without a doubt, lifelong friends. 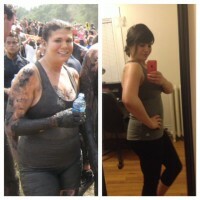 Fitness Together has helped me achieve my goals. I not only lost 30 lbs. in about 6 months*, but I also ran my first 5K. That was HUGE! I have muscles and confidence. I no longer take medication for acid reflux and my back and shoulder pain is nearly gone. My shoulders are straight and aligned. Reclaiming my health is the most successful I have ever been with anything. I feel good every single day. That’s not to say it’s easy, because every day is a struggle, but now I have the tools and the motivation to make it work. I am forever grateful to Fitness Together Melrose, specifically Teddy & Jesse. Without their expertise and fun, supportive personalities, I really don’t think I would have ever made it this far. Now – off to hit the treadmill! For the last six years of my life weight has been an issue. It started after a knee injury left me immobile for nearly three years and I was diagnosed with fibromyalgia, a chronic pain disorder. Between the intense muscular pain, soreness, lack of sleep, and depression I let the pounds pack on until finally I reached my limit. I wanted to make a change but was scared and lacked the motivation to do it on my own. I had tried gyms, taken various fitness classes, and even tried herbal supplements, but none of them worked because I could never continue them for long or see any measurable results. Not only was my weight hard on my body, but it was also hard on my self-esteem as I did not want to be judged or looked down upon especially because I am only 18. I needed a fitness center that would be willing to help me achieve my goals and stick to a plan to get myself back into shape and that is exactly what I found at Fitness Together. My mother had found the Fitness Together website and told me to look into it. Not only for the personalized workouts, but also for the motivational support which was really important to me. I had heard about personal trainers before and had always been wary of them; but after meeting once with Pete it became clear that I had made the right decision in contacting them. At my first consultation it was easy to talk to him about my struggles and lay out my fitness goals for the future. Not only is Pete supremely entertaining and funny, with our sessions usually ending with one of us hysterically laughing, but he and the other trainers create a nonjudgmental and supportive environment that makes you want to come back. I am never pushed past my limit and am always taken care of when my pain gets in the way. They are willing to work with you on anything, no matter what, and are always flexible, happy, and helpful. They make each experience better than the last. If I had not found Fitness Together I would still be lying in bed, dreaming of getting into shape instead of actually doing it. I will never be able to thank them enough for helping me work towards achieving my fitness goals! 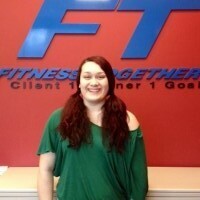 Jackie O. came to Fitness Together in April of 2013. After several weeks of training and her first evaluation, she updated her fitness goals, changed her eating habits, and committed to extra days of cardio. With 3 year old twins at home, she managed to set aside time each day to journal her food and get to the gym for her workouts. She has lost 5% body fat, has dropped 11 pounds, can perform 35 pushups, 10 pull-ups, and holds Fitness Together Melrose's plank record at 15:10. * Check out her video!! Fitness Together is second to none. Over the past few years of working out with FT, they have not only made me stronger physically but mentally as well. They keep me on track, they push my limits (but never to the point of overkill) and they believe in what I can do even when I don't believe in myself at times. In short, the staff at FT have made me healthier and even though there are days that I am not sure I feel like working out as I am always glad I did as I walk out the door and start my day.